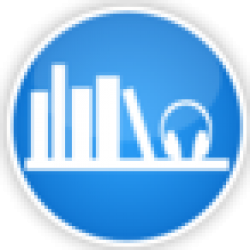 ABR's full Beyond the Barriers audiobook review and many others can be found at Audiobook Reviewer. “No one plans on the end of the world” no truer words spoken! Recognizing signs that the end of the word is coming to an end, Erir Tragger, flips off the CNN News and heads off to the local Wal-mart to shop for supplies before heading off to a friends cabin in the mountains. Relying on his special forces training, Tragger feels confident he can survive the impending change. Tragger connects with a group of survivors wanting to travel to Portland and thus begins his journey into a brief love relationship with a woman abused and nearly broken by life, a strong friendship with another special forces member and an arch rival named Lee. Tragger finds that his special training instincts are rusty but given time he’s confident they will come back. After stopping at Walmart to gather supplies, Trigger escapes to the mountains removing himself from the end. However, his supplies dwindle driving him towards his home where more supplies are hidden. Connecting with a group of survivors who plan to move to Portland, Tragger finds himself falling for a woman who is strong yet broken by life. He also connects with Scott another military member. One would think that looters and zombies would be all the survivors would need to contend with but no … a new twist on the zombie genre generates green-eyed ghouls who use telepathic skills to control the zombies. Forced to move on by another horde attack after his girlfriend is injured, he connects with others … including the snake-skin boots owned by Lee. A fierce looter with little regard to others and only out to be the biggest, baddest man around who takes what he wants. Escaping from a ghoul camp, and another encounter with Lee has Tragger questioning his humanity – can he kill a ghoul who is nearly human or even kill his arch rival? The fate of his arch enemy who was left near deaths door in the ghoul camp is unknown but there are suspicions … an end to an excellent book! An excellent start to the next one – where is Lee??? And will his loyalty and faith in humanity get him killed – it has already blinded him, putting his and others lives in jeopardy. During Traggers struggles, readers are naturally connected to the story and characters because of their down to earthiness and a general shared feeling of right vs wrong. The author uses rich vocabulary to pain details for every event capturing the reader. The audio book production was flawless. Audio Studies did an excellent job of producing this audiobook. The narrator, Christian Rummel was excellent! He made listening to the book nail biting – he ability to project anxiety, fear, terror, and other feelings was amazing. Also his pronunciation was clear and concise. I highly recommend this book – it captures and holds the reader mesmerized from beginning to end. The down-to-earthiness makes it more real leaving one rooted in the story. 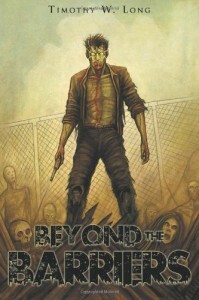 While there are common zombie behaviors, the twists in this plot makes it exciting and engrossing.